The best black and white photos are moody, expressive, powerful and timeless. 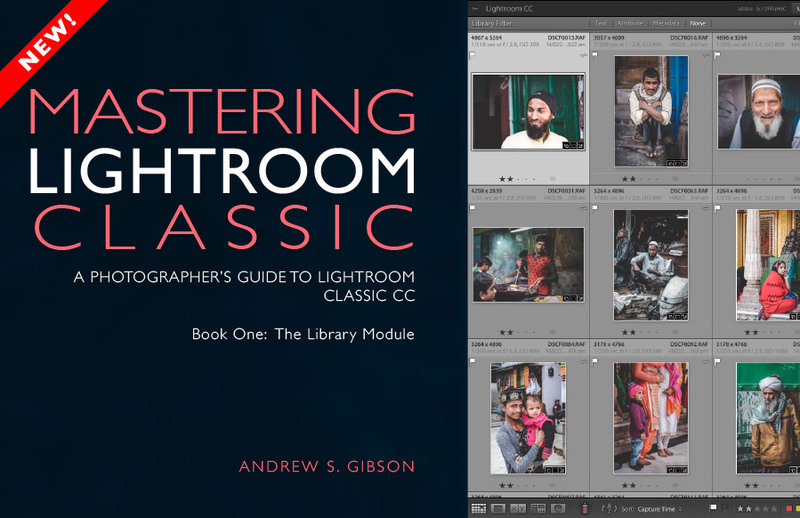 But how do you harness the power of monochrome in Lightroom? Converting photos to black and white isn’t difficult. Creating the mood and atmosphere you saw when you clicked the shutter is harder. 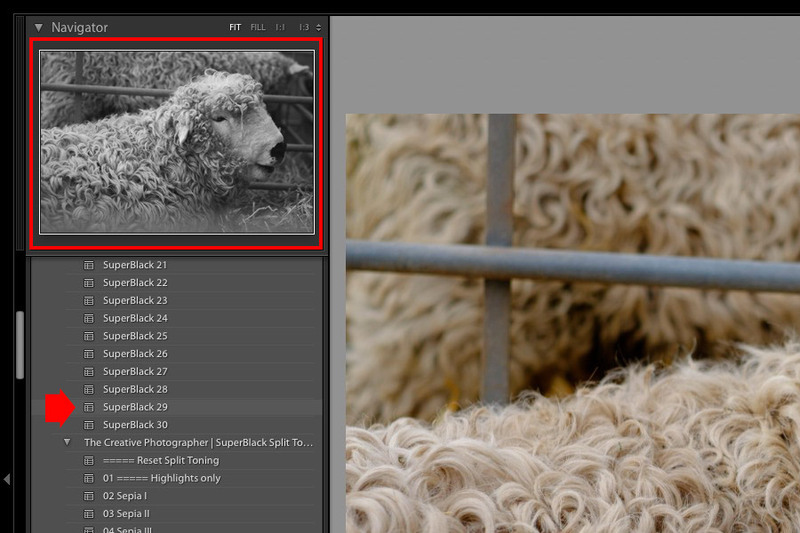 The SuperBlack Presets started out as a set of shortcuts that I use to make black and white photos. 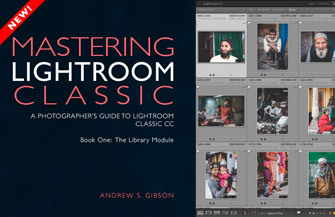 After using them extensively I realized they would help other photographers as well (click the link to buy them from our store). 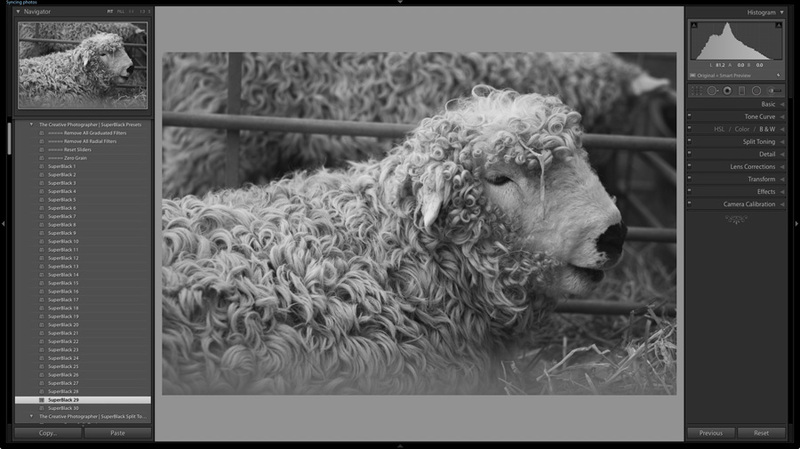 The SuperBlack presets do several things that help you create powerful black and white images. Preserve highlight detail. Subtle highlight detail is an important part of many good black and white images. Many of these presets use a negative Highlights setting to help you retain detail in the light tones. Add contrast. Sometimes you need to add contrast and punch. Some of the SuperBlack Presets do the opposite of preserving highlight detail and add contrast instead. Apply Clarity intelligently. Many photographers apply Clarity as a global adjustment (one that affects the entire image). This is fine if the whole photo is in sharp focus. But it doesn’t work so well with out of focus areas, as it attempts to bring sharpness to parts of the photo that are meant to be blurred. As I don’t know whether your photos are totally sharp, or if parts of them are out of focus, none of the SuperBlack Presets change the Clarity setting. The best way to apply Clarity is demonstrated later in the lesson. 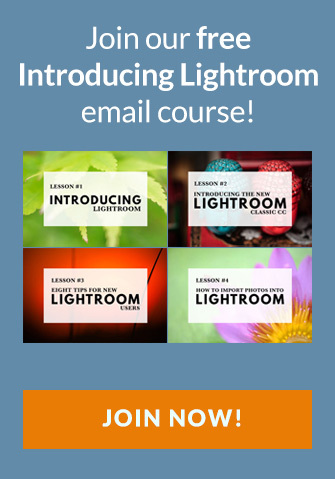 There are over 60 presets included in the package, including some extra functional presets that let you do things like reset the sliders or remove Graduated Filters. There are 30 SuperBlack Presets. Each one gives you a different black and white look. 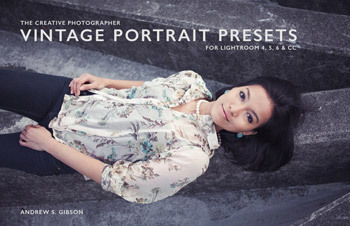 There are 24 Split Toning presets for toning your photos. There are six Clarity presets for applying Clarity globally (you can also use the Clarity slider in the Basic panel). 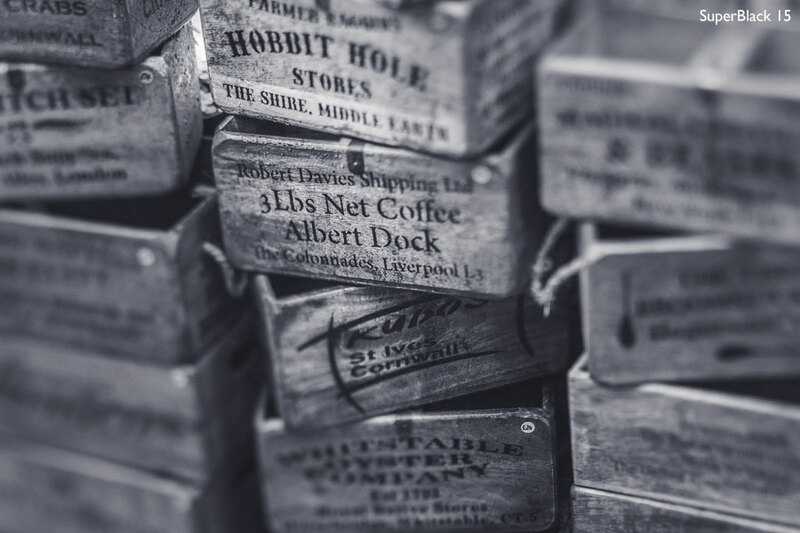 There are five Grain presets for adding grain to your photos. Combining these presets lets you create hundreds of unique looks with just a few clicks! 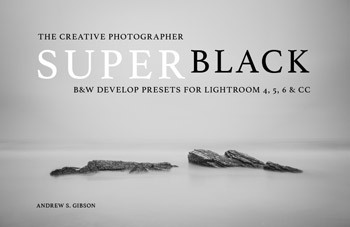 I’ve designed the SuperBlack Presets to be quick and easy to use. The rest of the lesson shows you how to get the best out of them. The PDF guide that comes with the presets also shows you how to use them. 1. Select the photo you want to work on and go to the Develop module. You’ll find it easiest to work with the right and left panels visible (see below). Make sure the Presets panel on the left is open, and that you can see the SuperBlack Presets folder. In this example, you can see the photo as it came out of the camera, without any retouching. 2. Hover the mouse over the list of presets. 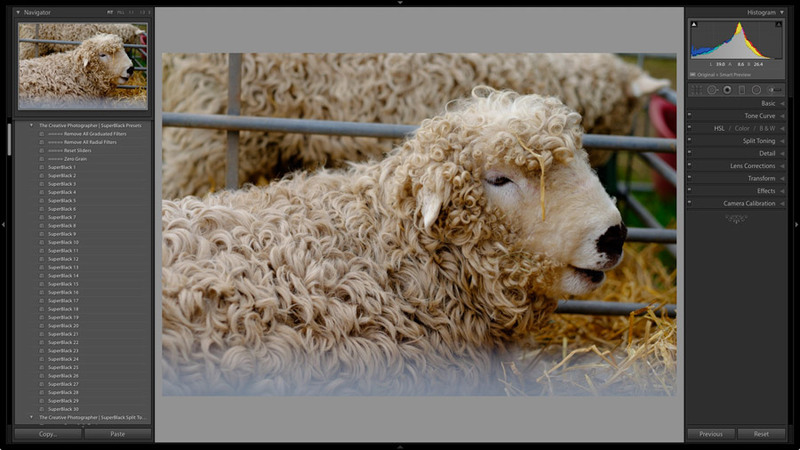 As you do so, Lightroom shows a preview of what your photo looks like with the preset applied in the Navigator panel. 3. If you like a preset, click on it to apply it to your photo. 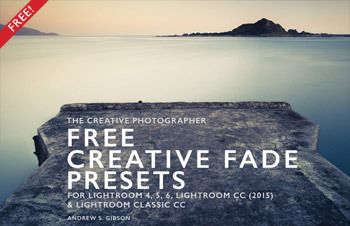 Feel free to click on as many presets as you need to find the one you like best. The screenshot below shows the result of applying the SuperBlack 29 preset. In practice, and depending upon the photo you are developing, you’ll probably find that between five and ten of the presets work well, and that the rest probably won’t. This is normal and nothing to be concerned about. Now you’ve selected a preset, then what? 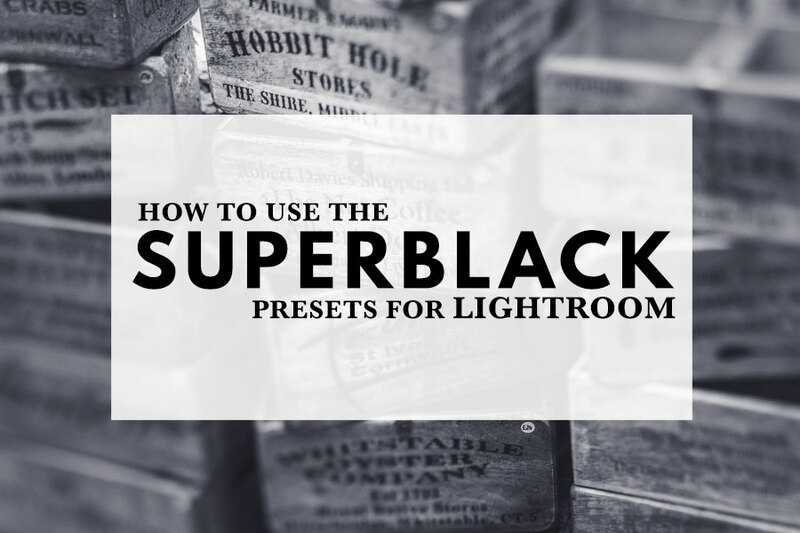 The SuperBlack Presets are designed to give good results with a single click, but realistically there may still be some work to do to get the best out of your photo. For example, you might find that you like the look of a particular preset, but the image is too dark. In that case, just increase Exposure or move the Shadows slider to right. Or you might find that you like a preset but that the highlights are too dark or light. Try moving the Highlights slider to adjust their brightness. You can also experiment with Contrast, to see how your photos look when more or less of it is applied. 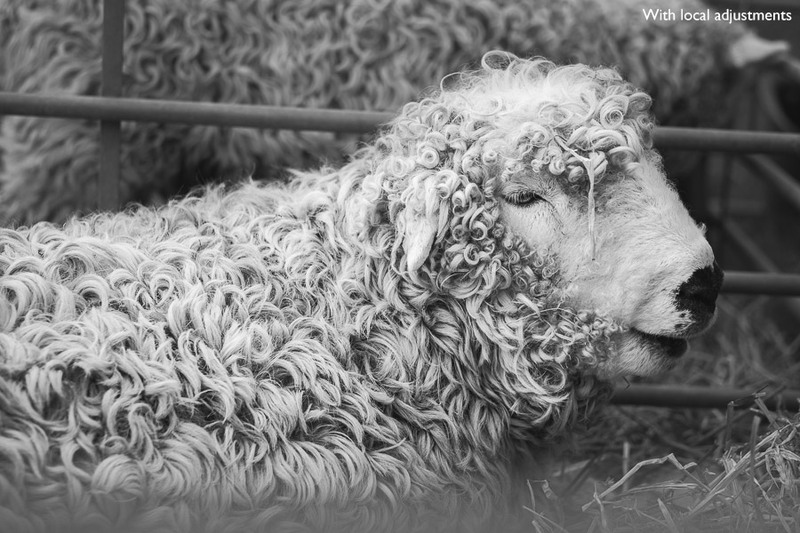 This photo doesn’t need any global tonal adjustments, but we can make it more interesting by finding ways to emphasize the sheep who is the main subject. The best way to do that is with local adjustments – that is, changes to the settings that affect part of the photo rather than all of it. 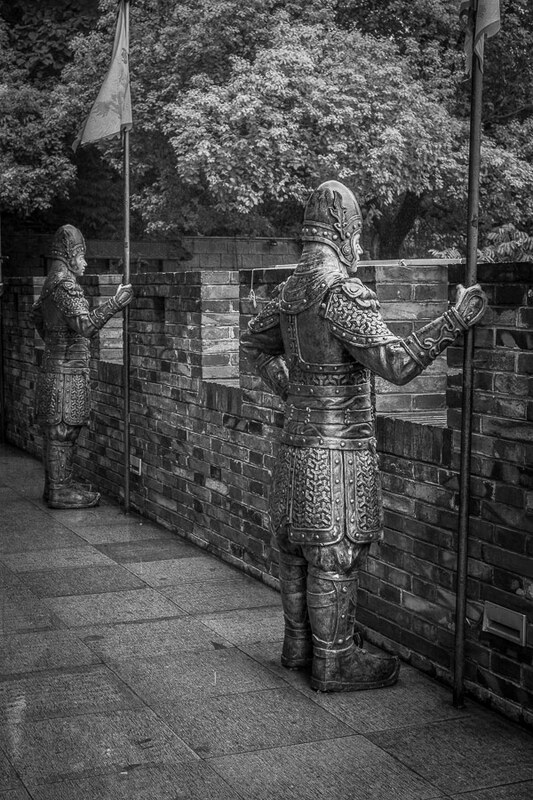 Key point: You can improve most black and white photos with local adjustments. The SuperBlack presets are good, but no preset can apply local adjustments successfully to every image. That part of the developing process is in your hands. The easiest way to apply a local adjustment to an irregular shape is with the Adjustment Brush. This screenshot shows the mask I created with the Adjustment Brush. Here’s a closer look at the Adjustment Brush sliders that I moved. I increased Clarity to bring out the texture. 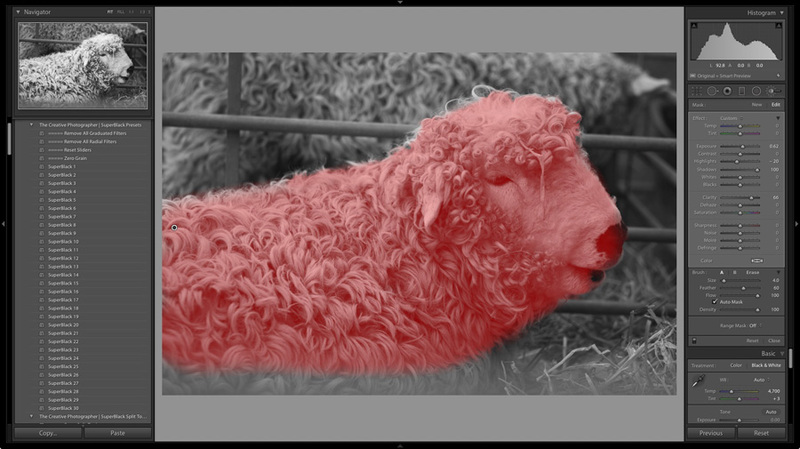 I increased Exposure and Shadows to make the sheep brighter, and compensate for the way increasing Clarity makes the photo darker. I reduced Highlights to make preserve detail in the brightest highlights. The best way to make these sorts of adjustments is to think about what you want to achieve with your local adjustment, then move the appropriate sliders and judge the effect by eye. Here I wanted to make the sheep brighter, so it stood out from the background, and bring out the texture of its fur. Once I knew this it was easy to decide which sliders to move to achieve the effect. I then decided that the sheep’s head was a little too dark, so I applied another Adjustment Brush. This is the mask. These are the sliders I adjusted. Increasing Highlights and Shadows, and not Exposure, is a more subtle way of making the subject brighter. This is the result (the difference is subtle). You can see the difference that the local adjustments have made below. Notice how the out of focus areas are the same in both versions. After the black and white conversion is complete you may want to add a finishing by touch by applying a split tone or adding grain. 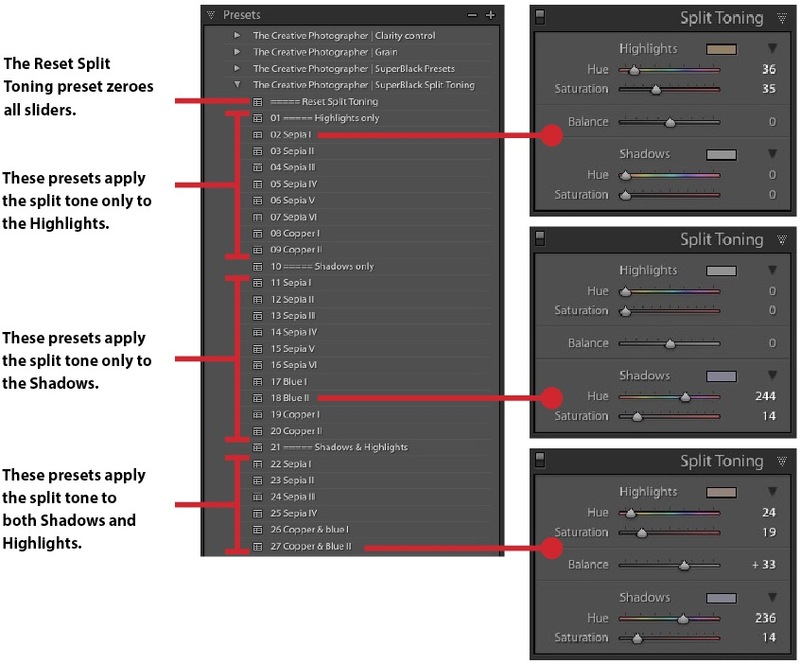 The Split Toning presets that come with the SuperBlack presets are split into three types. Some of the presets apply the split tone to the highlights only. Others apply the split tone to the shadows only. The remaining presets apply the split tone to both highlights and shadows. You can work your way through the split tone presets and decide which one suits your photo better. Think about the emotional value of the colors in the split tone. 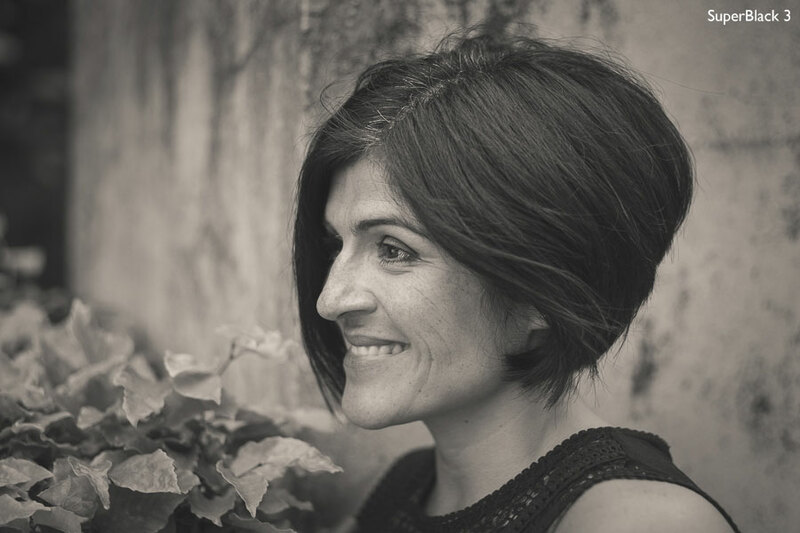 Sepia tones add warmth and work well with portraits. Blue tones are cold and work well with industrial scenes or winter landscapes. You can adjust the strength of the colors by moving the Saturation slider. I applied Split Toning preset 27 Copper & Blue II to this photo. This preset applies blue to the shadows and copper to the highlights. 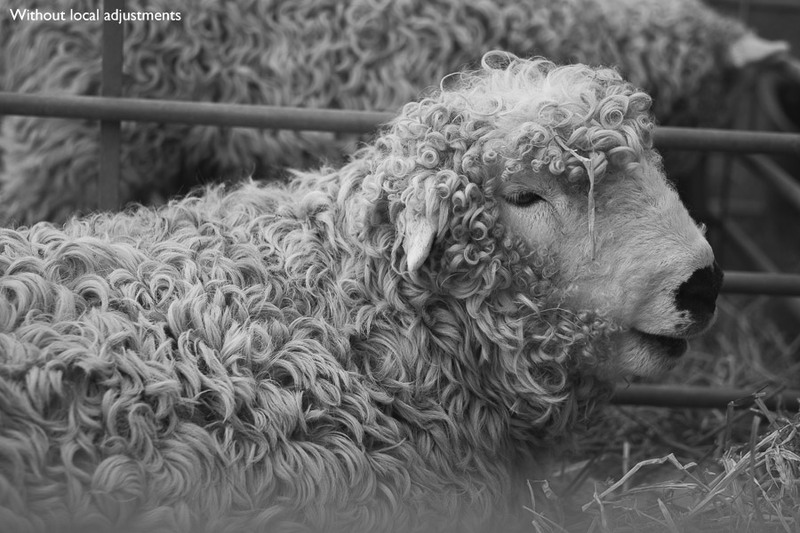 If you like the look of grain then you can use the Grain presets to add it to your black and white photos. There are five presets that add varying amounts of grain, plus a Zero Grain preset that removes it. Note: The grain presets are not designed to emulate specific black and white films. If you’re looking for an accurate film emulation then I recommend VSCO presets, or the DxO FilmPack or Silver Efex Pro plugins. Zoom into 1:1 to judge the effect of the Grain preset. 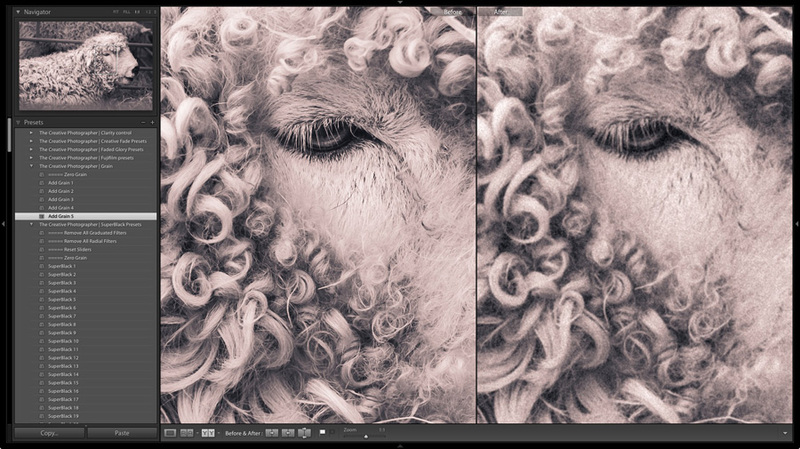 The screenshot below shows the result of applying the Grain 5 preset, the strongest one in the set (the before version is on the left, the after version on the right). Even in this screenshot you should be able to see the large clumps of grain, and the way the grain softens the image and removes detail. 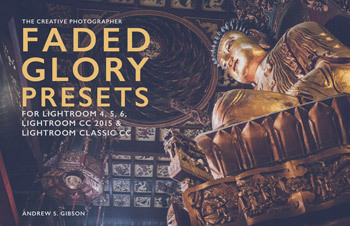 The Clarity Control presets are a shortcut to help you apply Clarity globally to your photo. Alternatively, you can use the Clarity slider in the Basic panel. Either way is fine. This is what the presets look like. 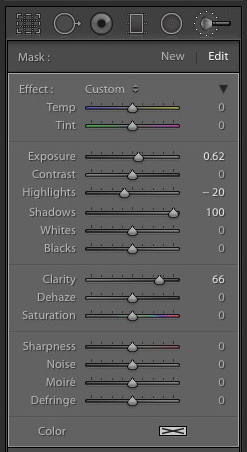 Below is a photo to which you could apply Clarity globally after selecting one of the SuperBlack presets. As you can see, the entire subject is in focus. I developed the photo by applying the SuperBlack 3 preset and setting Clarity to +80 with the Clarity Control presets. I also made some local adjustments. You can read the complete explanation of what I did in the PDF guide that comes with the SuperBlack presets. Let’s sum up what we’ve learned so far. 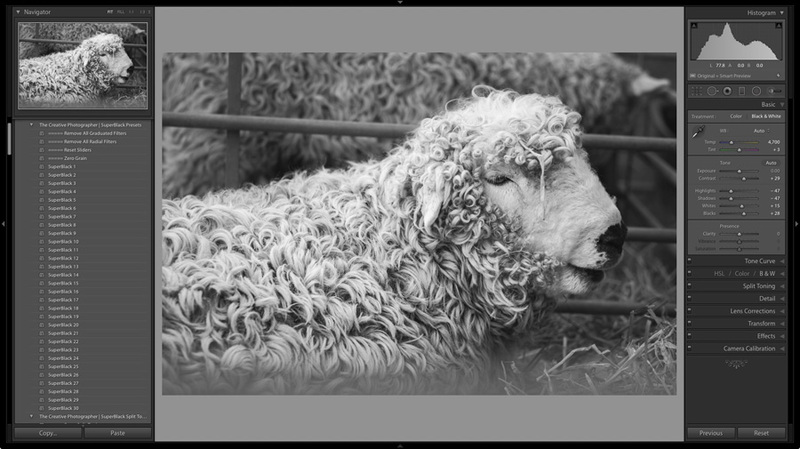 As you have seen the SuperBlack presets are a great tool for converting photos to black and white in Lightroom. They are designed to be used a certain way – this is the workflow that I recommend. 1. Apply one of the 30 SuperBlack Presets to your photo. 2. Decide whether to apply Clarity globally or locally. 3. If applying Clarity globally, use the Clarity control presets or the Clarity slider in the Basic panel. 4. If applying Clarity locally, use the Adjustment Brush. 5. Make other local adjustments using the Adjustment Brush, Graduated Filter or Radial Filter. 6. If required, add Grain using the Grain presets. 7. If required, split tone the photo using the Split Toning presets. I use the SuperBlack presets to develop my own black and white photos in Lightroom and I know you will find them useful as well. You can buy the presets from our store using the link below. Do you advocate processing the RAW image before applying the Super Black presets? No, because the presets will override the settings you apply. The main exception is the Exposure slider. 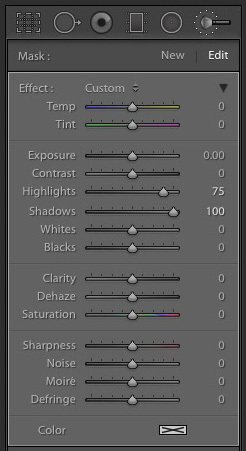 The SuperBlack presets don’t touch it so that you can change the Exposure setting if you need to. I’m interested in purchasing your super black presets. Do you have a deadline for doing the download. I won’t be in a location with wifi until mid January. Hi Dave, there’s no deadline. You can download them whenever you’re ready. Hi Richard, I’ve just sent you an email with the download link.